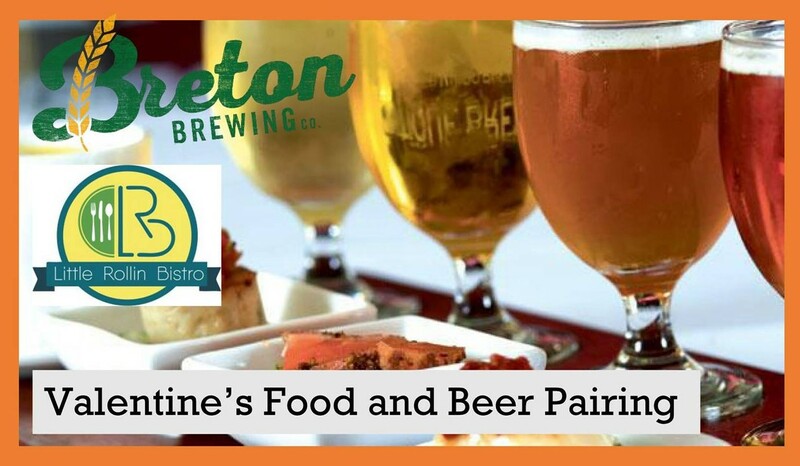 Breton Brewing is pairing up with Little Rollin Bistro for an evening of culinary delight to celebrate the most love-ly day of the year! We will be hosting a 5 course dinner with carefully chosen beer to match each course. Happy Valentine's Day! When purchasing your ticket, please let us know if you will need a vegetarian option, or if you have any specific dietary requirements. My wife and I had a lovely time at the dinner last year, great menu and great service. Sad I won't be able to make it this year, the bacon wrapped pineapple sounds fantastic!